The ability to protect yourself and others in a precarious situation is going to provide you with peace of mind. Carrying a concealed weapon can make a difference when you are faced with a crisis. However, you do not want to advertise the fact that you have a weapon. This could cause problems as well. There are a few things you should know if you choose to carry a concealed weapon. If you have never carried a weapon before, simply arming yourself and going about your day can make you feel self-conscious. You know you have a weapon, and this is on your mind. Get comfortable with the firearm before going out in public. Put it in your holster or wherever you will carry it, and walk around your home and yard. Do this until you no longer feel that the weapon is the only thing on your mind. If you are self-conscious about carrying the weapon, it will show. This could cause everyone around you to know that you have a weapon and create panic. It also forewarns a potential attacker and gives them an advantage. 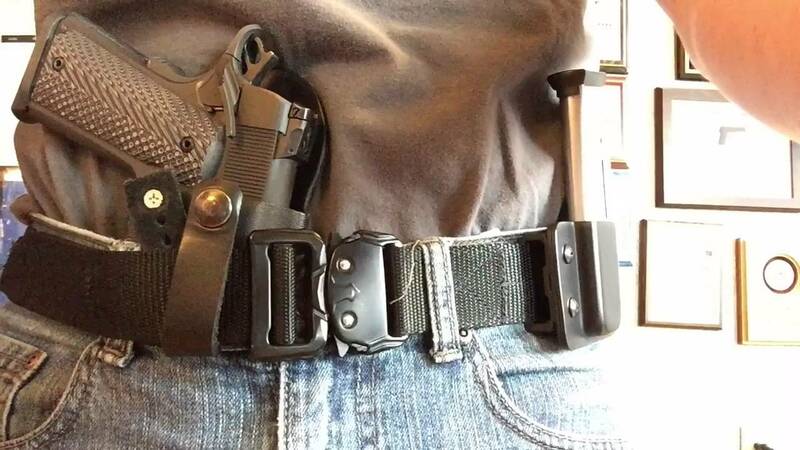 Never keep touching your pocket or holster. When you are carrying a concealed weapon, you need clothing that keeps it from being conspicuous and allows you easy access. Wearing clothes that are too tight will definitely allow a bulge to show that announces that you are carrying. Whether you are a man or a woman carrying a weapon, you want to look nice in public. You should not have to sacrifice fashion to carry. This is why concealed carry clothing is offered by companies such as Master of Concealment. Always act natural when you are carrying a concealed weapon. Do not let a firearm cause you to feel over confident. You certainly should not purposely try to intimidate people just because you know you can protect yourself. Sometimes, carrying can cause people to do things they would not normally do. Stay calm, collected, and keep your emotions in check so you can protect yourself if the need arises.